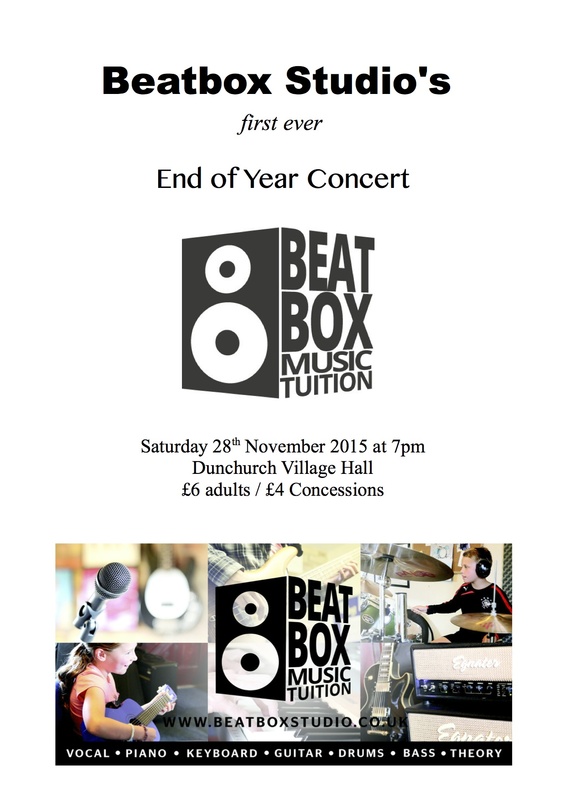 On Saturday 28th November 2015, Beatbox Studio is hosting its very first End of Year Concert! 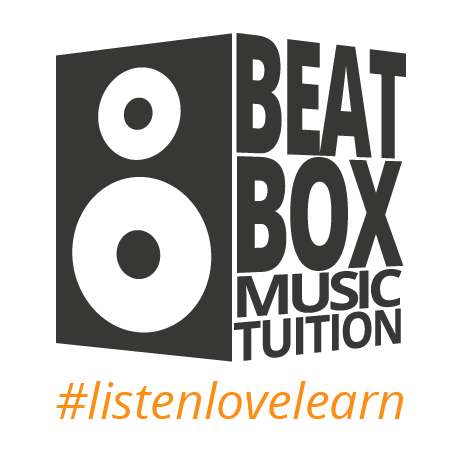 We are so excited to show the world what Beatbox Studio is really about by showcasing some of our finest musicians with a varied and exciting programme. 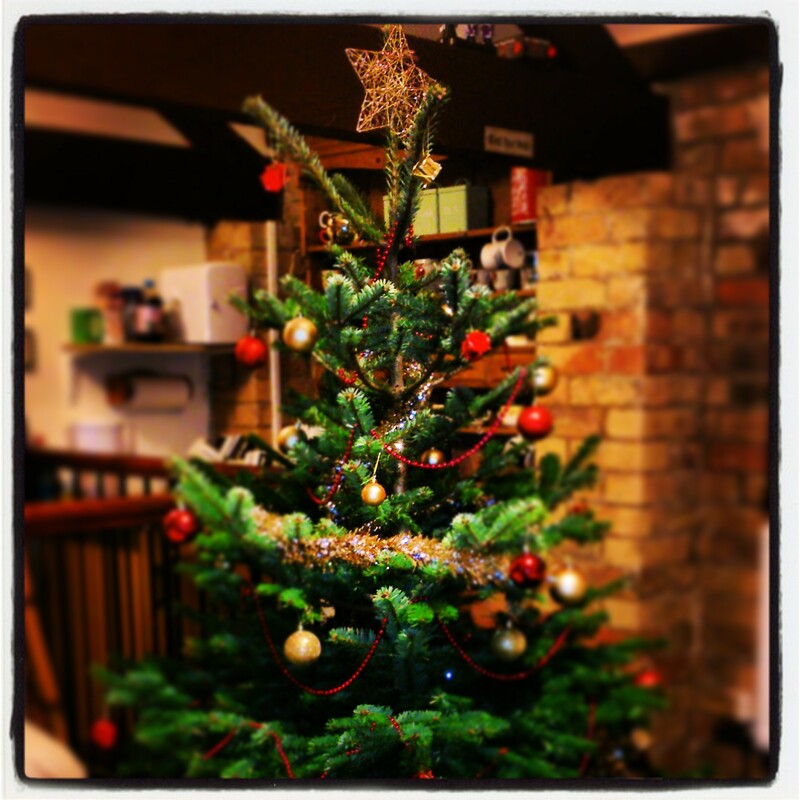 Pupils from all disciplines are working together to bring you a selection of well known pop ballads, jazz tunes, rock n’ roll hits, choral numbers – and of course one or two Christmas carols! This is the perfect chance for some of our budding rock stars to show you what they can do, and to give an opportunity to those who have never performed before to play to an audience. We will have as many of our singers, guitarists, pianists, bassists and drummers taking part as possible, so it promises to be a lively show. The concert will be held at Dunchurch Village Hall, Rugby Road, Dunchurch, Warwickshire CV22 6PN and will start at 7:00pm. Tickets are on sale now (£6 for adults and £4 for concessions) for the parents and family members of those performing in the concert. Any remaining tickets will be made available to members of the public on 1st November. Please contact your Beatbox tutor for tickets or call 01788 547115 for more information.